Read the Governor’s official announcement. 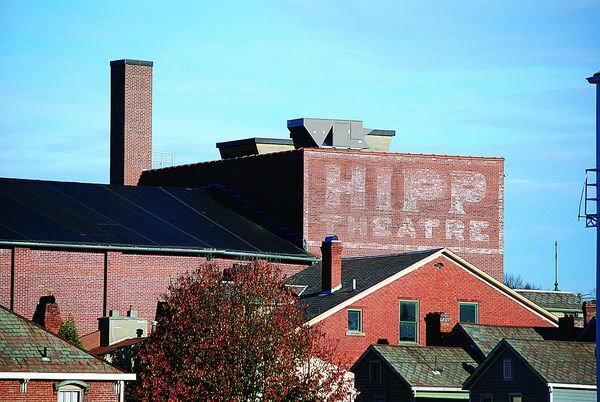 The Hippodrome/Colony Historical Theatre Association is honored by Governor John Kasich’s selection of Peoples Bank Theatre as the venue for his 2016 State of the State address on April 6. The HCHTA and Peoples Bank Theatre are proud to be able to host the Governor, members of the Ohio General Assembly, and their guests in downtown Marietta. Since 2012, Governor Kasich has taken the State of the State on the road to the communities of Steubenville, Lima, Medina, and Wilmington, showcasing success stories across the state of Ohio. The HCHTA and Peoples Bank Theatre are delighted that the spotlight will be shining—quite literally—on our stage as we celebrate the recent successes of the preservation and reopening of this historic cultural facility, which was made possible, in part, by support from the Ohio Historic Preservation Tax Credit Program, the Ohio Development Services Agency, the Ohio Facilities Construction Commission and the Ohio Arts Council. It is a privilege to be able to welcome Governor Kasich and the Ohio General Assembly to Peoples Bank Theatre for what will indeed be a historic day for our community. Tickets the Governor’s State of the State address are available by lottery through the Governor’s office. Originally published in The Marietta Times on February 6, 2016. The stage at the Peoples Bank Theatre has stood dark for decades, waiting for a rebirth that has finally occurred. The fact that it was possible to restore the nearly century-old structure as a venue useful today links back to how the theater was original built. When the new Hippodrome Theatre opened to the public May 9, 1919, it boasted one of the largest “legitimate theatre” stages in the Midwest and was able to stage the large Broadway style plays that toured the country. Theaters built later would have smaller stages that on average were just 15 feet deep. The one built for the “Hipp” is 35 feet deep and 55 feet wide. That large stage is intact today and allows several large productions to use the theater for shows that are due to play at the theater this year. The theater, which mainly sat unused since 1985, itself was strong. Movies would be the mainstay for the theater for the next several decades. In the 1940s, Shea Theatres of New York purchased the theater, remodeled it and changed the name. Gone was a large stone arch on Putnam Street, replaced with the Southern-Colonial facade seen today. They held a contest to rename it and reopened it as the Colony Cinema on June 25, 1949. The recent renovation returned the theater to how it looked in 1949. Stephan owned the theater until he donated it in 2004 to a non-profit organization set up to save it. 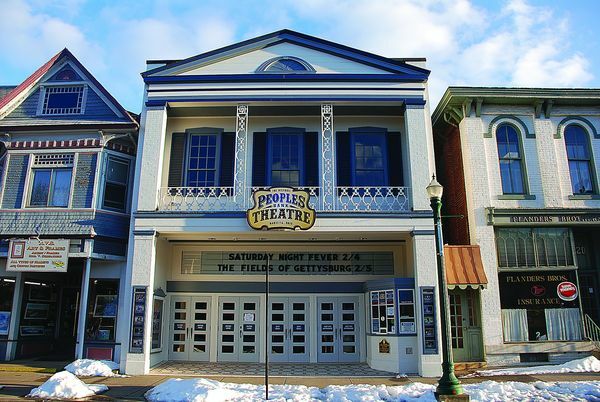 The organization got a huge boost from Peoples Bank along the way and the theater got a new name when it became the Peoples Bank Theatre. 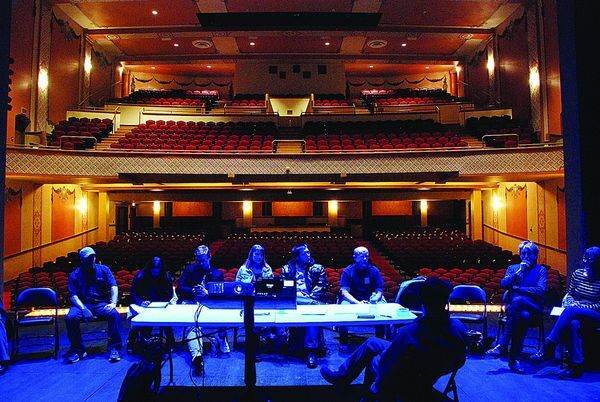 Twelve years later the theater is fully restored, has staged several shows and is once again an important part of the Marietta community. 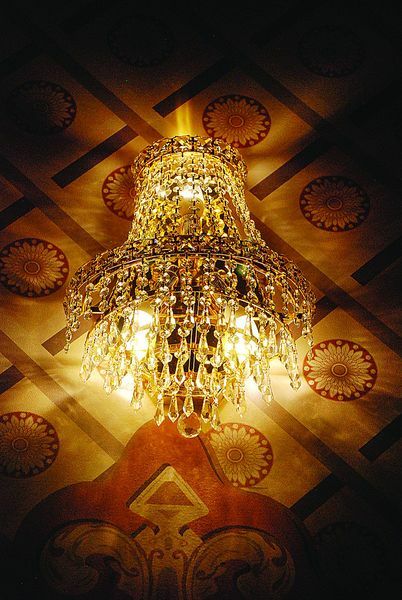 Restoration is apparent as soon as one walks through the doors. 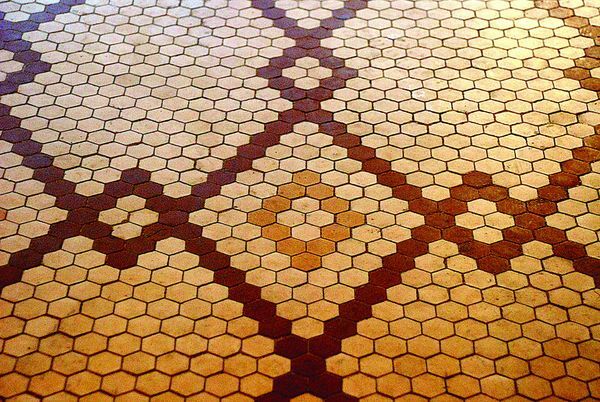 The tiles on the floor have been matched to fill areas that were removed through the years. 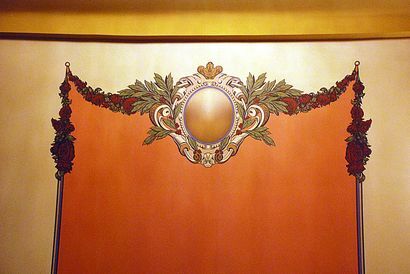 A second staircase has been reopened to the balcony area; wall paintings were restored based on what was found under layers of added paint and wall coverings. All the seats were replaced in the theater with 920 period-appropriate, yet slightly wider seats.